How to make your Wipers intermittent. 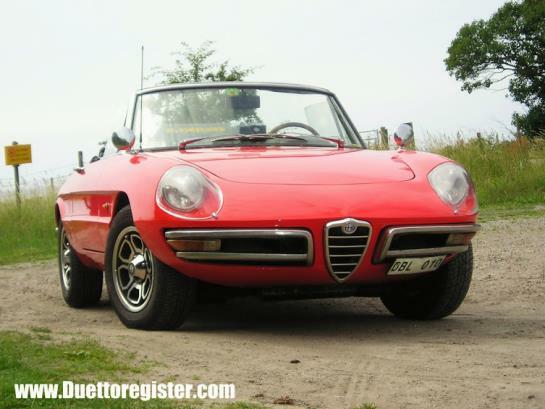 The older Alfa Romeos did not have an intermittent wiper, which I find very frustrating. Here's a clue how to solve that problem. Here we go. The relay comes from a Volvo 850 model, in production for many years. 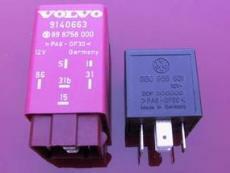 Other Volvos had the very same relay. 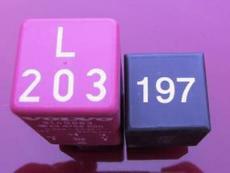 The realy to the right, the black one is almost the same, but from a VW Golf Mk2 and 3, part number 3B0955531. Go to the scrap yard and browse or why not to the authorized dealer for the models. Connect the wires like this. Oh, the wires are from a 105 series Duetto. Easy to install, relays are at the junk yard. Place the relay anywhere you want, behind and under the dash. 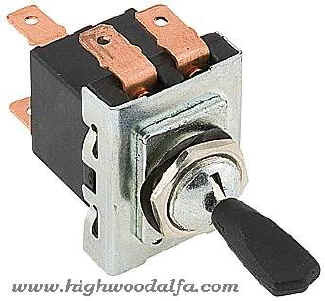 Both relays have the same basic wiring and connections. Good luck! Then finally, the very small connector to the right of S, that's where the wire from the intermittent should be connected. Now, when the toggle is in the middle position, the wipers will run intermittent. At the down position they will run at full speed. Top position means wipers off.